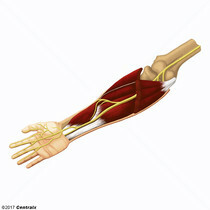 The motor nerve of the diaphragm. 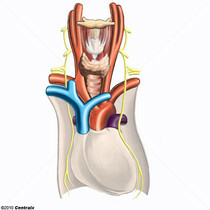 The phrenic nerve fibers originate in the cervical spinal column (mostly C4) and travel through the cervical plexus to the diaphragm. 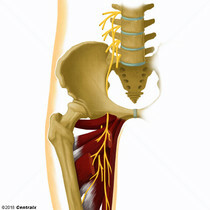 The lateral of the two terminal branches of the sciatic nerve. 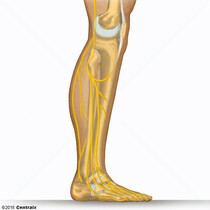 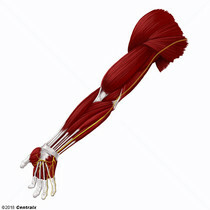 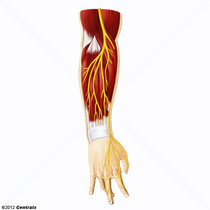 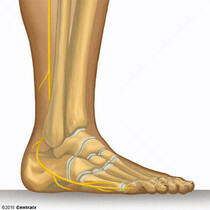 The peroneal (or fibular) nerve provides motor and sensory innervation to parts of the leg and foot. 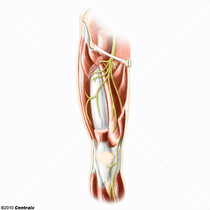 A nerve originating in the lumbar spinal cord (L2 to L4) and traveling through the lumbar plexus to the lower extremity. 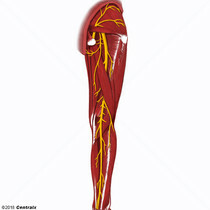 The obturator nerve provides motor innervation to the adductor muscles of the thigh and cutaneous sensory innervation of the inner thigh. 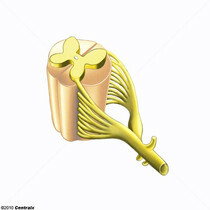 The paired bundles of nerve fibers entering and leaving the spinal cord at each segment. 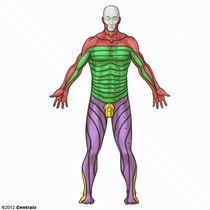 The dorsal and ventral nerve roots join to form the mixed segmental spinal nerves. 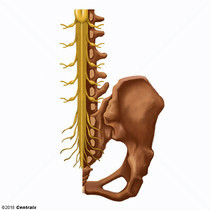 The dorsal roots are generally afferent, formed by the central projections of the spinal (dorsal root) ganglia sensory cells, and the ventral roots efferent, comprising the axons of spinal motor and autonomic preganglionic neurons. 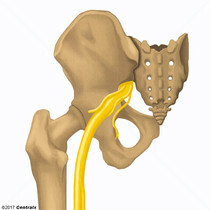 There are, however, some exceptions to this afferent/efferent rule.